I still remember the first time I ate fresh peas, right from the garden. I can’t tell you how old I was but I can tell you that I was young enough to run barefoot through the grass, climb trees, and play make believe; young enough that I had never stopped to consider where food comes from our how it ends up on our plates. That’s how my Uncle Mark captured my attention that day: he asked me if I wanted to taste something from the garden. Up until that point, most of the vegetables I had eaten were frozen, canned, or dehydrated (and mixed into boxes of ready-to-cook rice). In fact, the only fresh vegetables that I remember eating as a child are iceburg lettuce, beefsteak tomatoes, and green bell peppers. So, when my uncle called me over to his garden, hand outstretched, I was curious. I sprinted across the back yard to look at the single green pod in the palm of his hand. He started to explain that the entire pod was edible but before he could finish his sentence I took a bite. That was the first time that I remember liking peas. And, not just enjoying them but really savoring how crisp, sweet, and grassy a garden-fresh vegetable could be. Though it would still be many years before I learned of the farm-to-table movement I consider this my informal introduction; my first garden-to-gastronome experience, if you will. To taste fresh food is a simple idea, but one that is powerful enough to inspire a recipe more than 20 years later. 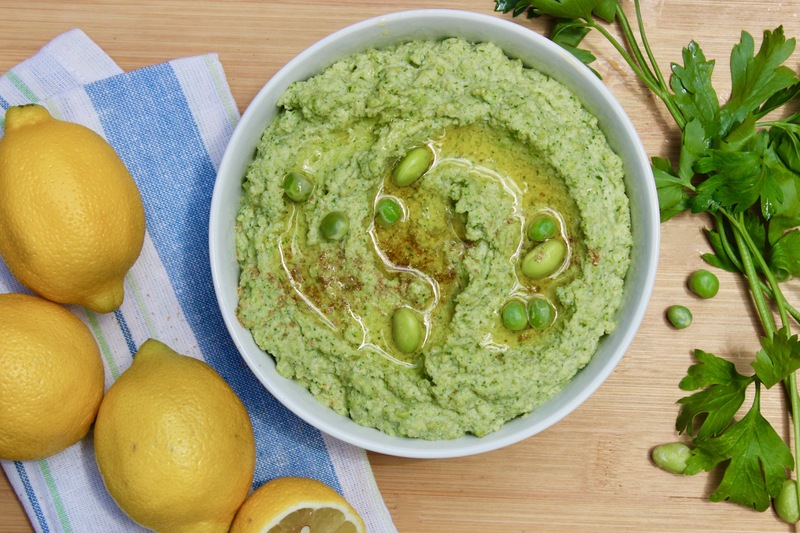 Effortlessly delicious (just likethat first bite of garden peas), this dip is every bit as bright, vibrant, and memorable as what I tasted that day. 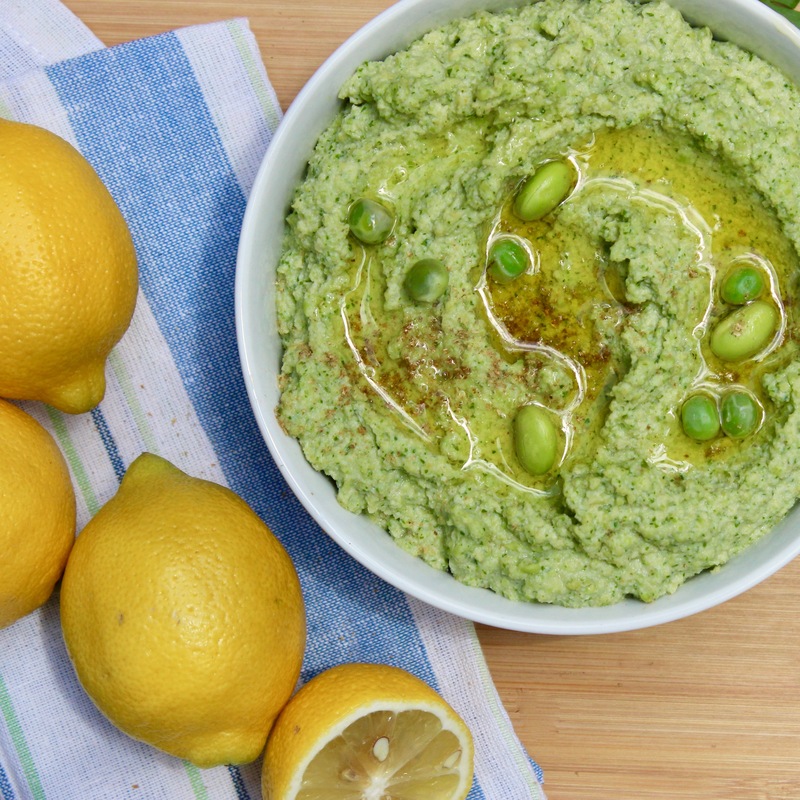 Put all of the ingredients except the olive oil into a food processor. 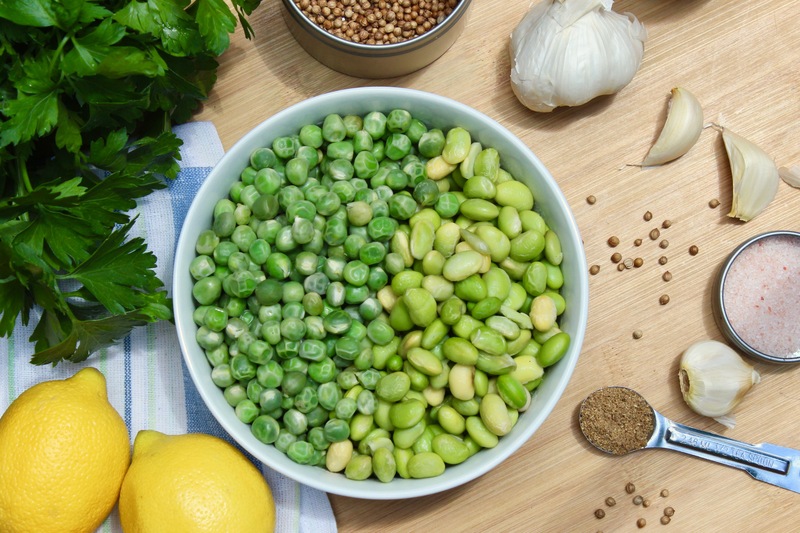 Add a few tablespoons of olive oil and pulse to combine. Then, with the food processor running, slowly pour in more olive, until you reach the desired consistency. Serve or store airtight in the refrigerator for up to 4 days.